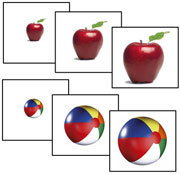 Sort and classify photographs by air, land and water. 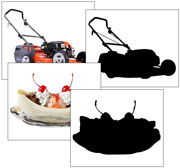 Blackline master of things that are in the air, on land or water. 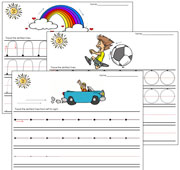 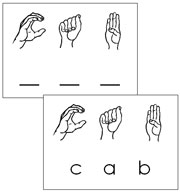 26 American Sign Language letter cards. 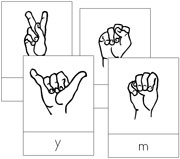 84 Phonetic word cards in American Sign Language letters. 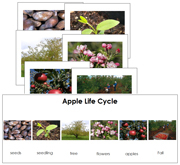 Cards showing the sequence of the apple life cycle. 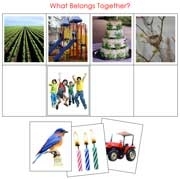 Picture cards to help build associations between objects. 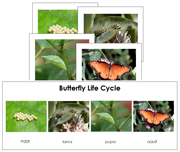 Cards showing the sequence of the butterfly life cycle. 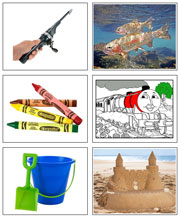 Color sorting cards for 10 colors. 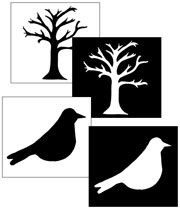 Learn to manipulate a pencil, improve eye-hand control and learn the basics of printing strokes. 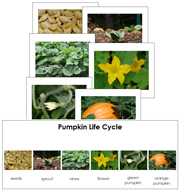 Cards showing the sequence of the pumpkin life cycle. 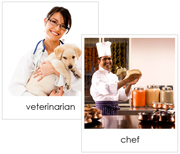 Assists young children to become more independent with their home responsibilities. 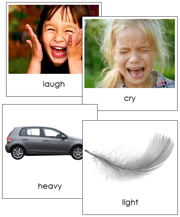 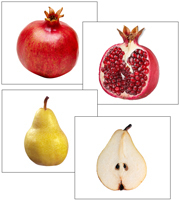 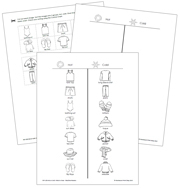 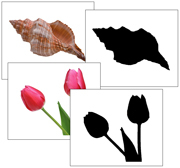 Sort and classify photographs of common seasonal items and scenes. 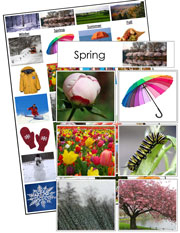 Lay out seasonal images in a linear time line. 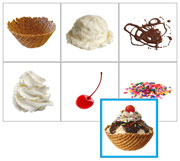 Sort by shapes and colors. 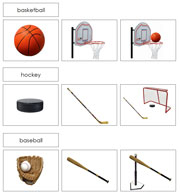 Match sports and equipment together. 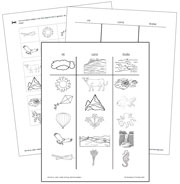 Sort and classify photographs of transportation by air, land and water. 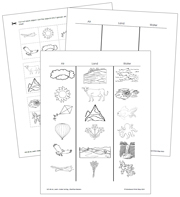 Blackline master of air, land and water transportation.